Exceptional stability, vision and comfort all in one lens. 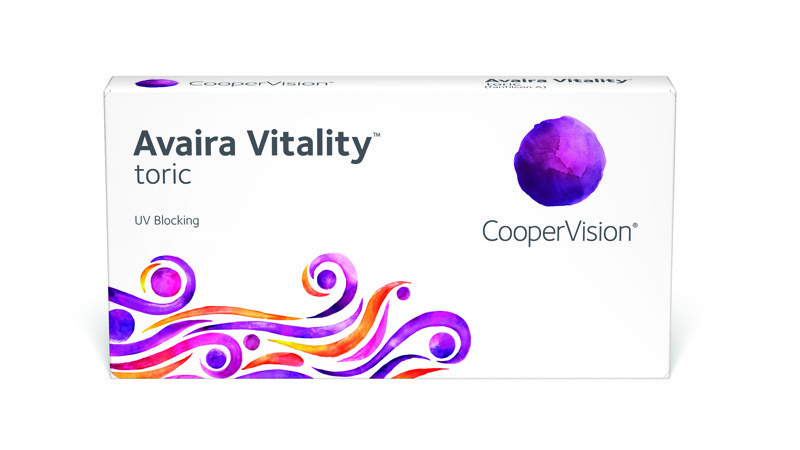 Avaira Vitality™ toric is a monthly replacement lens that delivers the best of Avaira® toric plus enhanced features of higher water content and Class 1 UV protection.1 State-of-the-art silicone hydrogel means high oxygen transmissibility, whilst Optimised Toric Lens Geometry™ ensures a stable fit and clear vision. It all adds up to being a great fit for the vision correction and lifestyle needs of your patients with astigmatism. Avaira Vitality™ toric achieves the same high standards as Avaira® toric. All this is available at the same affordable price as Avaira® toric. The third generation silicone hydrogel material used in Avaira Vitality™ toric is inherently wettable with no surface treatments, and uses naturally wettable building blocks to improve compatibility between silicone and hydrophilic domains. This, combined with the higher water content of Avaira Vitality™ toric ensures a high performing, comfortable lens. Avaira Vitality™ toric features Class 1 UV protection1 that blocks more than 90% UVA and 99% UVB offering greater protection for your patients’ eyes. Avaira Vitality™ toric features the same advanced design you have come to expect from one of the world’s leading manufacturers of toric contact lenses. So, your Avaira® toric patients will continue to enjoy excellent stability, predictable orientation and visual acuity. - Uniform horizontal ISO thickness. - Optimized ballast toric design. Maximises comfort during eye lid interaction. - Larger toric optic zone. 1. Warning: UV-absorbing contact lenses are not substitutes for protective UV-absorbing eyewear, such as UV-absorbing goggles or sunglasses, because they do not completely cover the eye and surrounding area. Patients should continue to use UV-absorbing eyewear as directed.